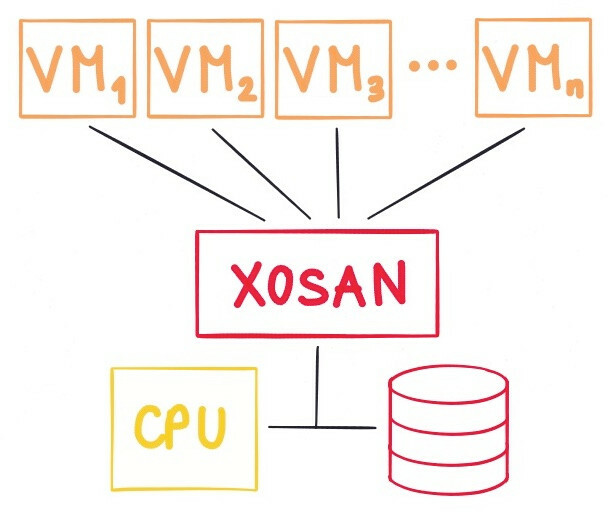 As you know we are currently developing a solution for XenServer hyperconvergence: XOSAN. To fully understand the objectives of our virtual SAN, it's important to take a step back and look at the benefits brought by hyperconvergent infrastructure (HCI). 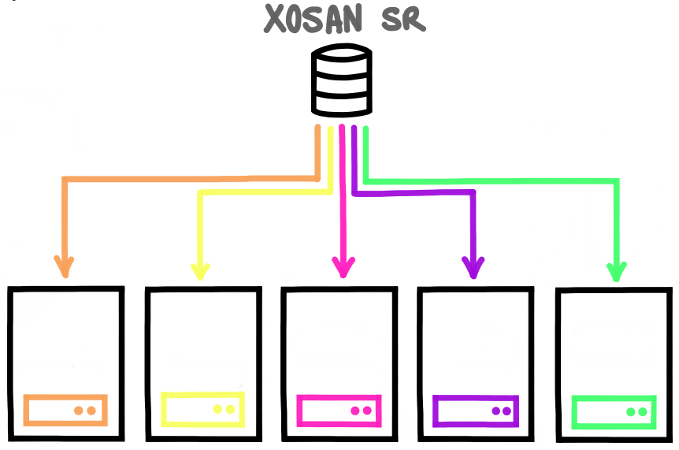 Hyperconverged infrastructure are software centric IT architecture that unify compute and storage in order to reduce the complexity and benefits from several advantages. On one hand, you may find solutions providing a combination of hardware and software to manage storage, servers and networking as a single system. In the other hand, you will find software defined storage solutions (virtual SAN), in which you won't have off-the-shelf servers, and that aim to convert your existing hardware into an hyperconvergent infrastructure. Hyperconvergence brings several benefits to any IT organization as data efficiency (save storage and bandwidth), data mobility(migrate easily your VM), data security(data deduplication) and costs reduction(overall optimization and saving). Software centric solutions have its own set of benefits and it's the orientation we choose for XOSAN. Using your existing hardware infrastructure to create a virtual SAN and enable hyperconvergence for your XenServer is a great way to get the benefits from hyperconvergence without the disadvantages. The most obvious benefits from a software defined hyperconvergence solution as XOSAN is that you can use the infrastructure you already have, add the storage solution you want on the long run and change it the way you want because you have no obligation regarding the hardware part! It will make a massive pricing difference as a DIY server configuration will be far way costless than a turnkey hyperconverged infrastructure with the hardware included. The same thing applies regarding the modularity of your infrastructure. It's easier to modify your HCI. You can mix old hardware and new one, scale resources in or out and make your infra grow without massive additional costs. The main point is that you can choose among a various of hardware manufacturers and if you have the ability of sourcing your hardware material, you will drastically reducing the TCO. Last but not least, you can keep up with the latest innovations in terms of storage and/or servers. You don't rely only on your hyperconverged solution provider to bring the latest tech evolution in is own offer. Switching to better components is entirely up to you. It's a good way to ensure that your hyperconvergent infrastructure always delivers top level performances. Hyperconvergence is THE thing companies are getting into for some years now. More mobility, more security, less costs, HCI are really a good way to reduce the overall costs and optimize your infrastructure. Here, we deeply believe that a real software defined solution is able to deliver top level performances, maybe even better than a solution that includes hardware and at an unbeatable price, that is for sure.